What Is a Typical EPAT Appointment Like? There are lots of things to love about EPAT—short for extracorporeal pulse activation treatment. Of course, the top entry on the list is that it works. Time and time again, EPAT has proven itself more than capable of resolving musculoskeletal pain and healing chronic injuries without surgery. Another great reason to love EPAT? The treatment course and appointments are short and conveniently fit into your day and your lifestyle. What is the typical appointment like? Let’s start with the things your appointment won’t include. You won’t have to fast after midnight. You won’t have to take any medications or anesthesia. You won’t have to wait in a holding area after the procedure. You won’t have to suffer through any downtime or post-procedure discomfort. At the start of your appointment, your doctor will apply a coupling gel over the skin above the painful area. This gel allows the pressure waves generated by the EPAT device to be delivered more evenly and efficiently by the injured tissue. We’ll then turn on the EPAT machine and apply the applicator wand to the skin, moving in circular motions over the area of injury. Most people describe the sensation as a repetitive tapping; there may be mild discomfort, but no anesthetic is necessary, and the experience should not be painful or upsetting. A single treatment session averages only 10-15 minutes or so per injured area. Usually, patients will require a total of three weekly sessions during a single treatment course, although this can vary on a case-by-case basis. You may or may not experience immediate pain relief after the first treatment; however, the effects are cumulative and the healing process triggered by EPAT will continue long after the session is complete. Unfortunately, EPAT is not always covered by insurance. However, in many cases the alternative would be surgery, followed by a lengthy period of physical therapy and possibly other treatments. As a result, EPAT is frequently the superior treatment choice not only in the medical sense, but also in terms of your out-of-pocket expenses. 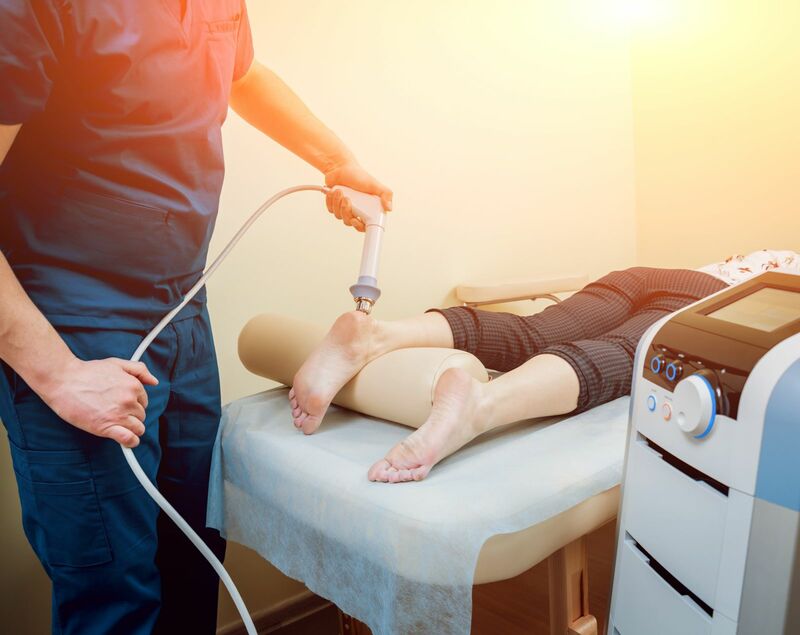 To learn more about how the Absolute Foot Care Specialists can help you eliminate your chronic pain without surgery, give us a call today at (702) 839-2010.